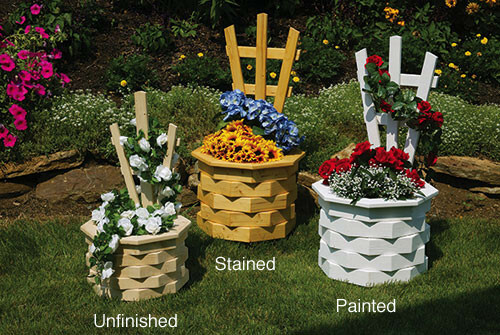 Our Trellis Planters are hand-crafted from Southern Yellow Pine by the Amish in Pennsylvania, our flower boxes are built to withstand the test of time and the elements. Arsenic free wood makes these flower boxes environmentally friendly too! A great addition to any lawn or garden. Hand-crafted from Pine by the Amish in Pennsylvania, our flower boxes are built to withstand the test of time and the elements. Arsenic Free wood makes these flower boxes environmentally friendly too!